Looking for a Bitcoin trading bot? 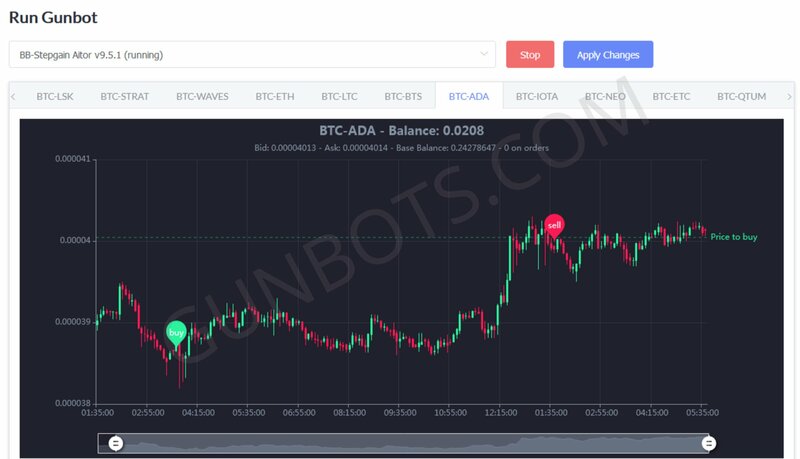 Gunbot is by far the best crypto trading bot. 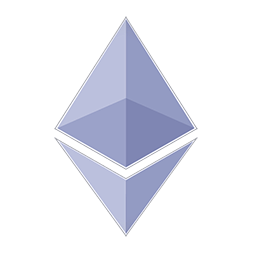 It’s able to trade with Bitcoin, Ethereum, Litecoin, USDT and thousands of cryptocurrencies. 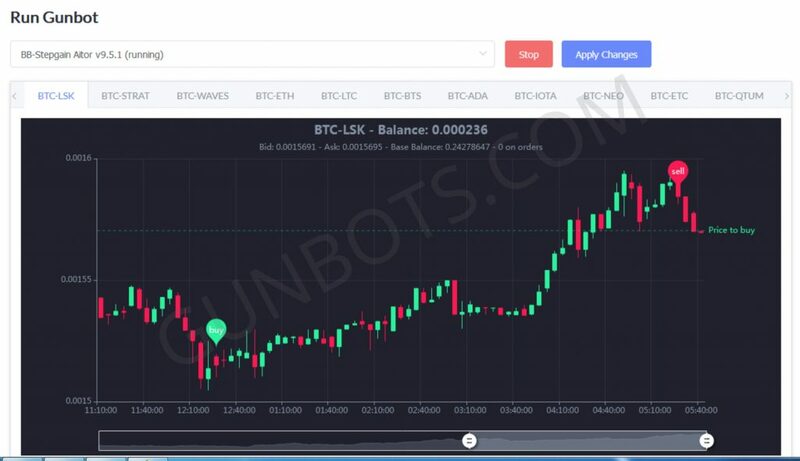 Gunbot is a trading bot for Binance, Bitmex, Kraken, Kukoin, Bitfinex, Bittrex, Poloniex, Cex.io, Coinbase Pro and Huobi, and it’s the perfect tool to get success in your trading journey. Gunbot supports major Exchanges like Binance, Bitmex, Bittrex, Kraken, Kukoin, Coinbase Pro, Poloniex, Bitfinex, Cex.io and Huobi, and we are constantly adding new Exchanges. We are more than 4000 active Gunbot users, the biggest crypto botting community by far, including Telegram groups, forums etc… We are always willing to help. Leave Gunbot running in a few easy steps. You can just run one of the precoded trading strategies or configure the trading style to you likings just by changing some parameters. Do you want to trade using the popular Bollinger Bands strategy? Maybe you prefer to use Gain and set selling operations with fixed % profit? Like Ichimoku trading strategy? Maybe you prefer many fast trades? Look no further. Do it easily with Gunbot. Gunbot allows to change a lot of trading indicators and make your trading more aggressive or more conservative. You can also combine different trading strategies. There are some amazing Addons that allows you to improve your Gunbot experience. 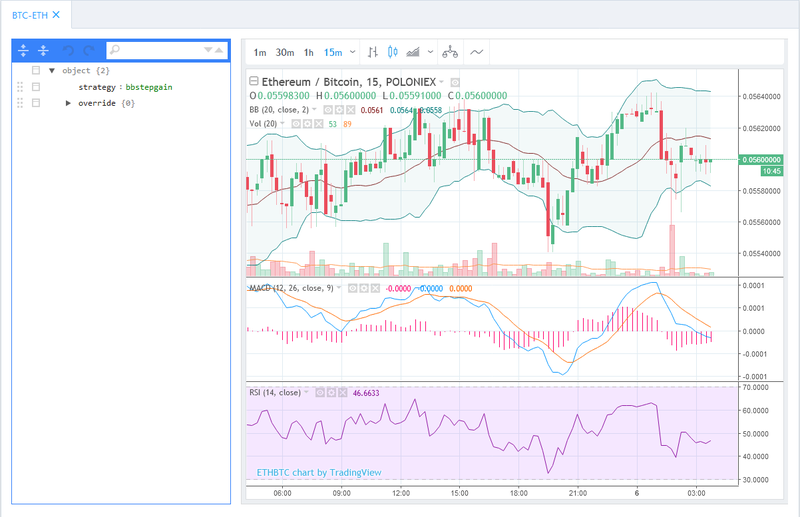 For example, Crypto Sight allows you to easily track your profits, and TradingView Addon allows Gunbot to execute buyings and selling alerts from traders from Tradingview.com!! The world is changing. Robots and AI are ruling the world. Take advantage of the automation power and stop wasting your time looking at a screen. 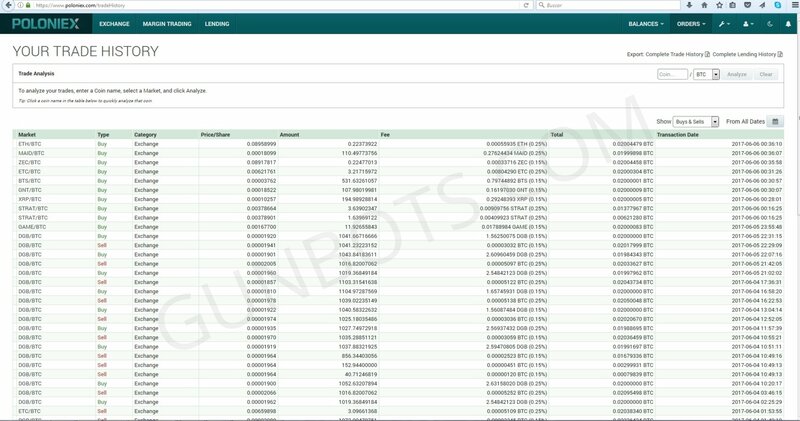 Gunbot allows you to automate your trading. Let the robots do the hard job. You can run it on your own computer or on a VPS (cloud computer), so you can check it from any computer or mobile device.